If you’ve been working on your Honda in the US or UK you’ve probably already come across a bunch of chewed up cross head screws. Why’s that? Japanese bikes are held together with JIS (Japanese Industrial Standard) screws and JIS cross head screw are different in design to Phillips heads. Check out the pictures below. 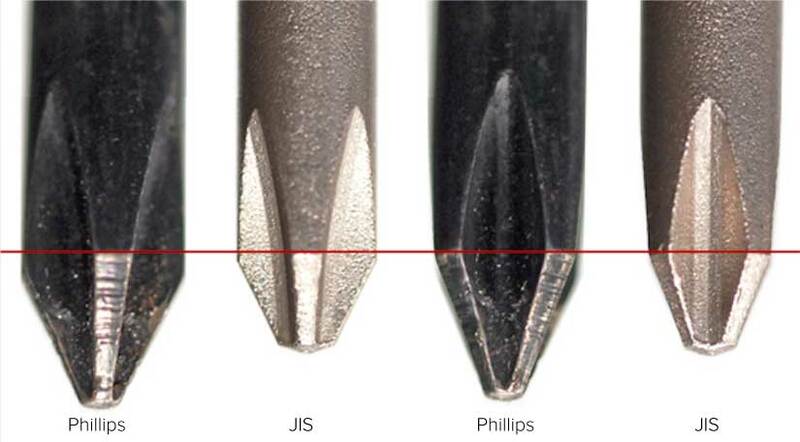 Philips driver heads are more pointed and tend to bottom out on the center point of the screws before the faces of the driver are seated on the indents in the screw head. This puts all the load into a small area of metal on the JIS screw and smudges it off before the screw comes loose. Hurray, you ruined another screw.